Would you like to see the firefighters and the police compete in a basketball game?? The evil side of you probably said “YES”. But this time the good side of you will definitely say “YES” too. Chadron Law Enforcement and the Chadron Volunteer Fire Department will face off at the “Guns ‘n’ Hoses” Charity Basketball Game, a special event to benefit the 2012 Shop with a Cop Program. In addition to the exciting basketball game, “Guns ‘n’ Hoses” features a halftime performance by the Chadron High School Spirit Squad and a 50/50 raffle. Proceeds from the event go directly towards the 2012 Shop with a Cop Program. The Shop with a Cop program uses all donations to purchase food and gifts, for Christmas, for less fortunate children within our community. The children have the opportunity to go shopping with a police officer. This is a fun and exciting (sometimes interesting) experience for the children and the officers as well. Cost: $5 per person at the door, kids age 10 and under get in free. Donations: Donation can also be given at the door or turned in to the Chadron Police Department, 125 Main Street, Chadron, Nebraska. The Chadron Police Department and “The Shop with a Cop” program is in need of your help. Last year the Shop with a Cop program was able to serve approximately 180 kids through cash donations totaling $5,445.67, along with toys, food, and gift cards donations. This works out to be about $30 per child. 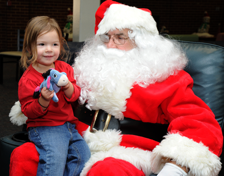 Because of your kindness, many children within our community experienced a happy 2011 Holiday Season. However; this 2012 year might not be so happy. So far this year the Shop with a Cop program has only received a few small donations and has seen a greater increase in children’s needs. It is believed that our economy is a big factor in the increased level of need and lowered number of donations. Remember all the donations are used to benefit our local kids, during the Holiday Season. The Chadron Police Department would like to ask for your support with the Shop with a Cop program by “digging deep” and giving a donation. If you have questions about the Shop with a Cop program please contact School Resource Officer Aron Chrisman or the Chadron Police Department at 432-0510. Donations can also be dropped off at the Chadron Police Department, located at 125 Main Street, Chadron Ne. The Chadron Police Department has received a number of recent complaints of motorist who are passing and or overtaking school buses incorrectly; in and around Chadron. As we all know, these school buses are carrying Chadron’s most prized possessions, so their safety and security is extraordinarily vital to the department and we would like to issue all motorists this friendly reminder. 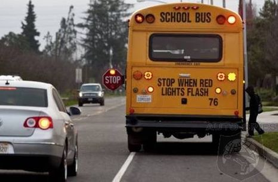 Upon meeting or overtaking, from the front or rear, any school bus on which the yellow warning signal lights are flashing, the driver of a motor vehicle shall reduce the speed of such vehicle to not more than twenty-five miles per hour, shall also bring such vehicle to a COMPLETE STOP when the school bus is stopped, the stop signal arm is extended, and the flashing red signal lights are turned on, and SHALL REMAIN STOPPED until the flashing red signal lights are turned off, the stop signal arm is retracted, and the school bus resumes motion. Any person found violating this statute can be found guilty of a Class IV misdemeanor and fined up to five hundred dollars as well as assessed points on his or her motor vehicle operator's license. Please remember to watch out for our children, drive safely and give our children a brake by stopping for school buses when the stop arm is extended. This fall Chadron Middle School celebrated our students’ NeSA scores, and while there was a lot to celebrate we also have some areas where we need to improve. Now that all of the Nebraska State Accountability (NeSA) data is in, and Annual Yearly Progress (AYP) decisions have been reported, I would like to take some time to explain the assessment outcomes for the students at Chadron Middle School. Last year was the first time that districts were not organized by building, instead the Nebraska Department of Education (NDE) organized districts by grade levels: 3-5, 6-8 and 11. Therefore, 5th grade assessment results are not included in the middle school’s data that is presented below. NDE has set scale score ranges of 85-134 as meeting standard and 135-200 as exceeding standard for math, science, and reading. In the area of writing, a scale score of 40-54 is considered proficient and a score of 55-70 exceeds standards. All Chadron Middle School students took the reading and math test, 5th and 8th grade students took the science test, and only 8th grade students took the writing test. Chadron Middle School students exceeded the standard in math with 83% of our students meeting or exceeding standards. Chadron Middle School did not meet AYP in reading this year with 74.46% of our students meeting or exceeding standards. The Nebraska Department of Education has rolled out a new ranking system called Nebraska Public Accountability System (NePAS), which ranks all of the school districts and schools in Nebraska in order from 1 to 249. Included in the NePAS report are data on school scale score averages compared to the State in the areas of math, reading, science, and writing. The report also shows student cohort growth data (students in the same group from grade level to grade level) and student improvement data (comparing grade level students in different years) compared to the previous school year. Below is a breakdown of the NePAS report for Chadron Middle School. In the area of science, Chadron Middle School’s average scale score was 108.02 and we were ranked 65th in the State. There is no growth or improvement data for science because it was the first year that schools were required to take the NeSA Science test. In the area of writing, Chadron Middle School’s average scale score was 42.2 and we were ranked 157th in the State. There is no growth or improvement data because of the new holistic scoring rubric that was introduced last year. In the area of math, Chadron Middle School’s average scale score was 116.53 and we were ranked 45th in the State. Cohort growth (students in the same group from grade level to grade level) since 2011 was -4.02 and improvement (comparing grade level students in different years) from 2011 was -2.32. In the area of reading, Chadron Middle School’s average scale score was 112.64 and we were ranked 116th in the State. Cohort growth (students in the same group from grade level to grade level) since 2011 was 0.58 and improvement (comparing grade level students in different years) from 2011 was -2.74. Although our average scale score in reading was well above the minimum scale score of 85 for proficiency, we did not meet AYP because 25.54% of our students did not meet that standard. Most of our students are meeting or exceeding standard and the average scale score shows that. However, Chadron Middle School needs to continue to work to close the achievement gap for our students who are most at risk and mobility to and from Chadron continues to impact students who have not had the benefit of strong curriculum and instruction at our schools. We are using NeSA and NWEA data to target students for specific reading interventions. In addition, we have designated the first 10-minutes of every mini course in grades 5-8 for Silent Sustained Reading (SSR). We are also looking at the schedule to create reading intervention time during the school day, but changes to the master schedule will not take effect until the 2013-14 school year. There will be a parent meeting on November 29th at 5:30 PM in the CMS computer lab to answer questions about this data and I hope that parents will be able to attend. Thank you for your support as we work together to meet these challenges and guide our students towards academic success.